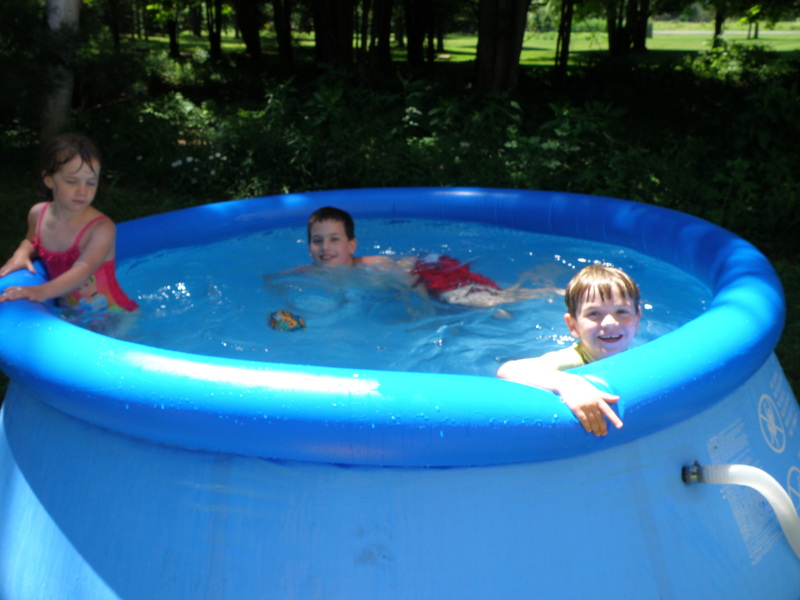 We got a small pot belly pool off of Craigslist about 2 years ago and the summers have not been warm enough up here to use it until this week! Yay! Our children are more than thrilled with the back yard addition even if it is still cold! It’s been so fun to laugh with them as they play and enjoy being outside. They usually have to be MADE to stay outside so this is a welcome change!! 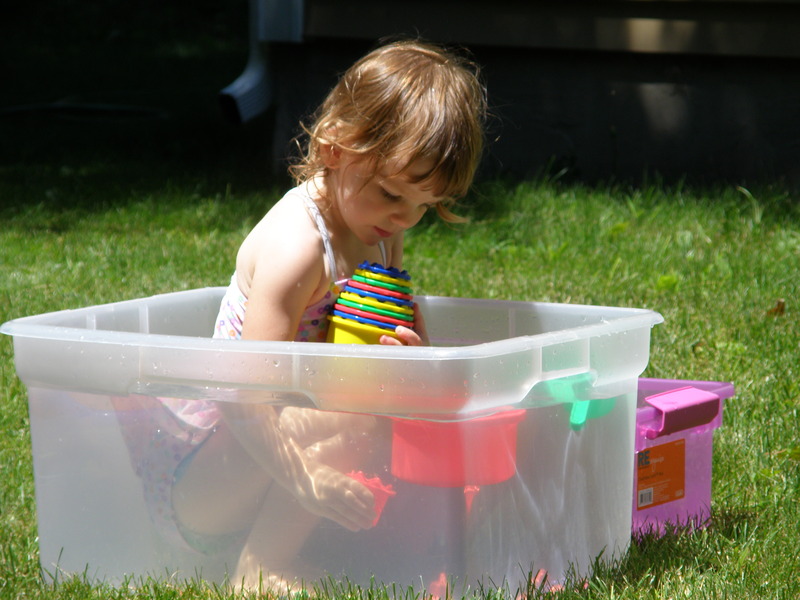 The pool is shallow enough that our 2-year-old can stand just fine in it, but she stands there shivering so today I got her a tote bucket to call her own and filled it with about 3 inches of hot water and 4 inches of pool water and she loved it! Using simple things to make life sweeter is so much fun!